Do not put infants in direct sunlight. 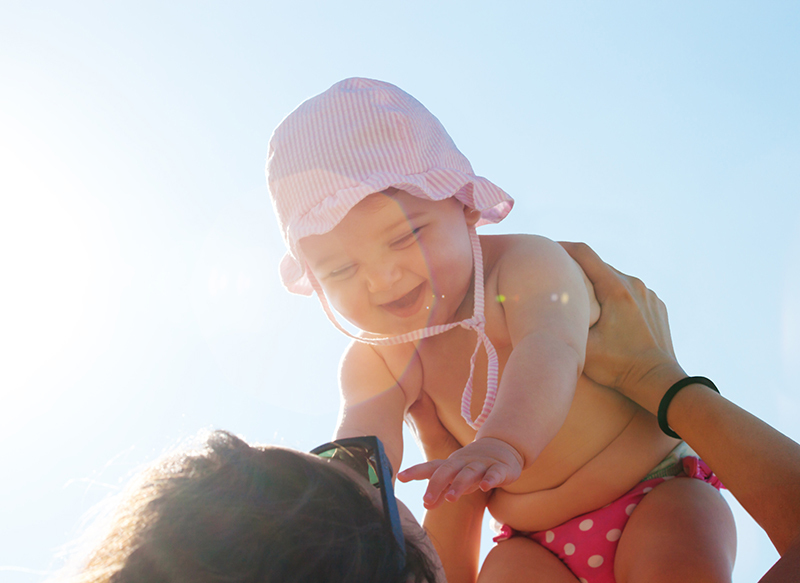 Due to their relatively thinner skin, infants under 6 months should be covered to avoid direct sun exposure. When adequate clothing and shade are not available, parents can apply a minimal amount of sunscreen with at least 30 SPF containing zinc or titanium to small areas such as the infant’s face and the back of the hands.